I you open up the program Mail, you will receive the possibility to enter your account details. Here you may enter your name, your e-mail address and your password. 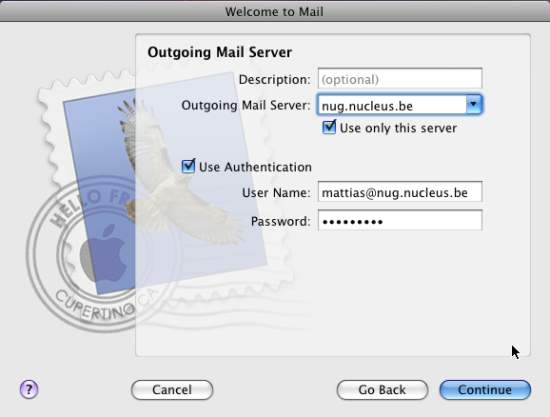 For the Account Type, you can select ‘IMAP‘, the incoming mail server is ‘nug.nucleus.be‘ and you need to confirm your username and password. 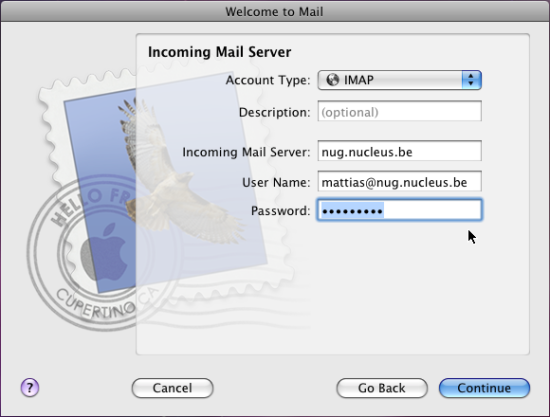 As the outgoing mailserver you need to specify the same server credentials as for the incoming e-mail, and make sure to cehck the ‘Use Authentication‘ setting. The same username and password need to be confirmed here. 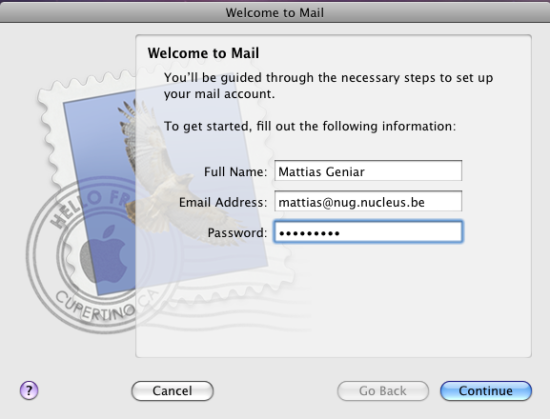 Confirm via the ‘Continue‘ button, to manage your e-mail through Mail.